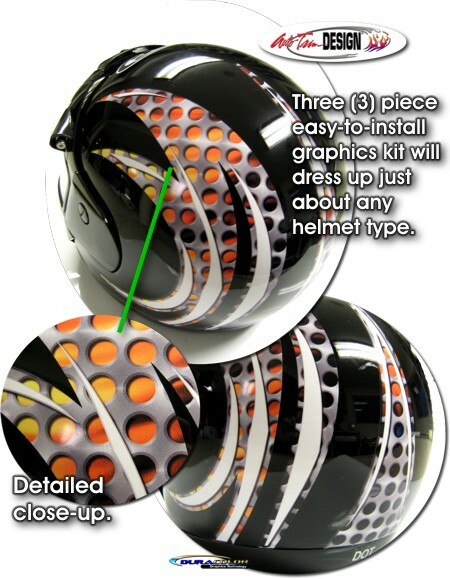 Dress up your helmet with this easy-to-install three (3) piece "Hot" looking graphic set. Graphics feature flames under simulated perforated brushed metal plating that's topped off with White highlights. Digitally printed with our DuraCOLOR Graphics Technology, graphic kit features a 3D look and looks great when installed.